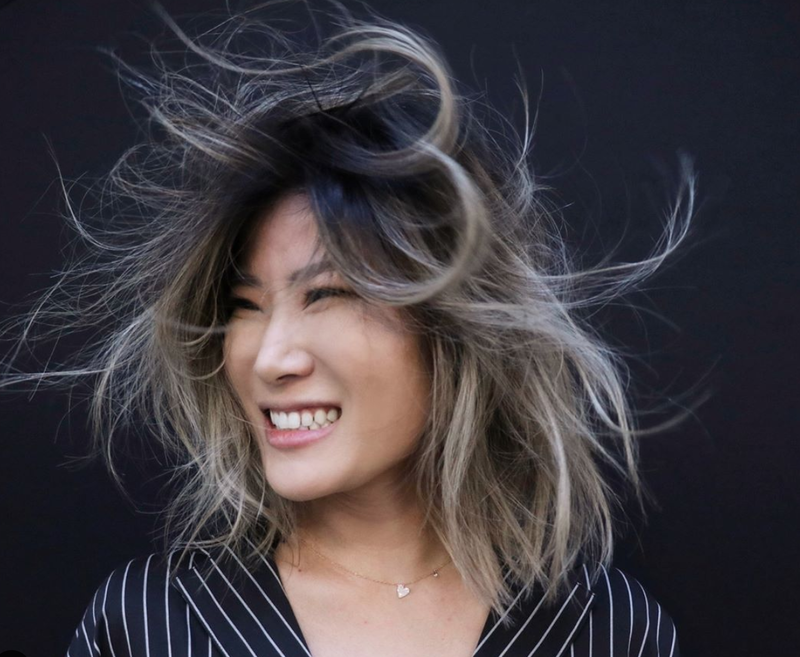 Anh’s signature soft undercut lob is shown here with windswept movement that shows off the dimension and layers cut into it. The soft undercut is perfect for all hair textures to add dimension and take weight off the underneath sections of the hair, while maintaining movement and length throughout. He prepped the hair with L’Oreal Professionnel 10-in-1 and Mythic Oil to protect the model’s color treated hair and blow dried it smooth with the Dyson Supersonic and Ibiza Round brush for this look. Here, it is shown with a soft, natural wave — stay tuned to see the fully styled version with beachy Lived in Waves!